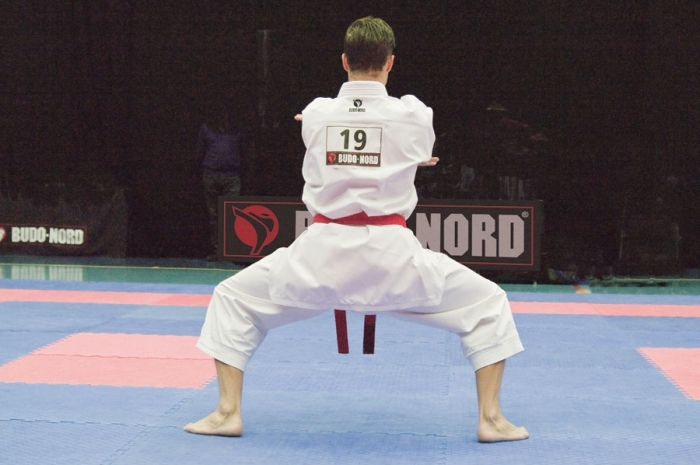 Budo-Nord Sonkei looks very much like a karate gi, but looks can be deceiving. 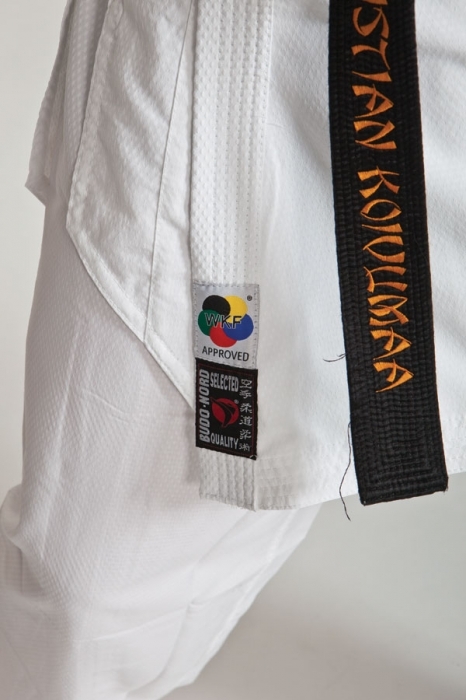 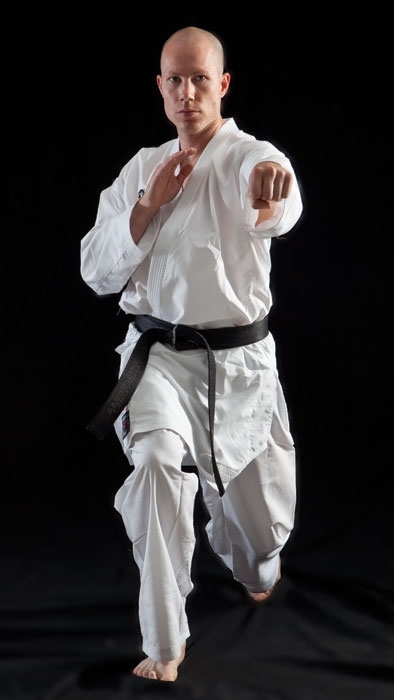 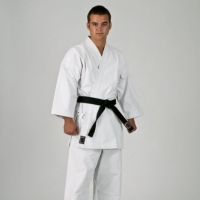 Karate gis cling to your body, Sonkei has an embossed inside which keeps air between your skin and the fabric. 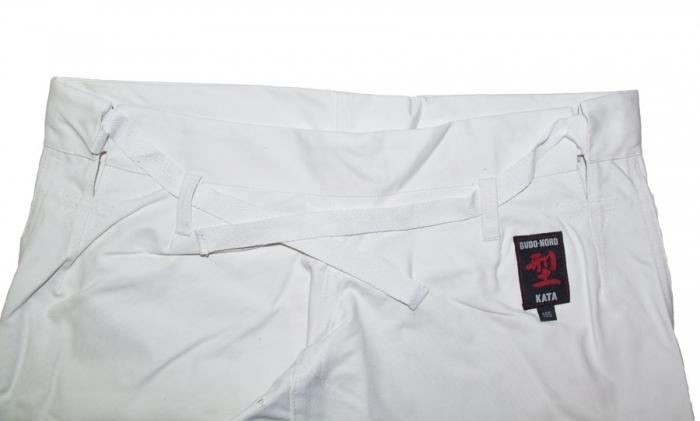 Karate gis feel heavy after being saturated with moisture, Sonkei feels as light and comfortable after the match as before it. 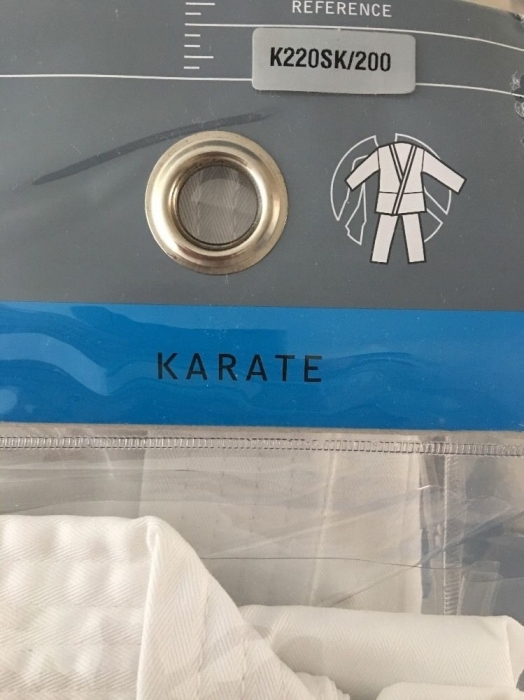 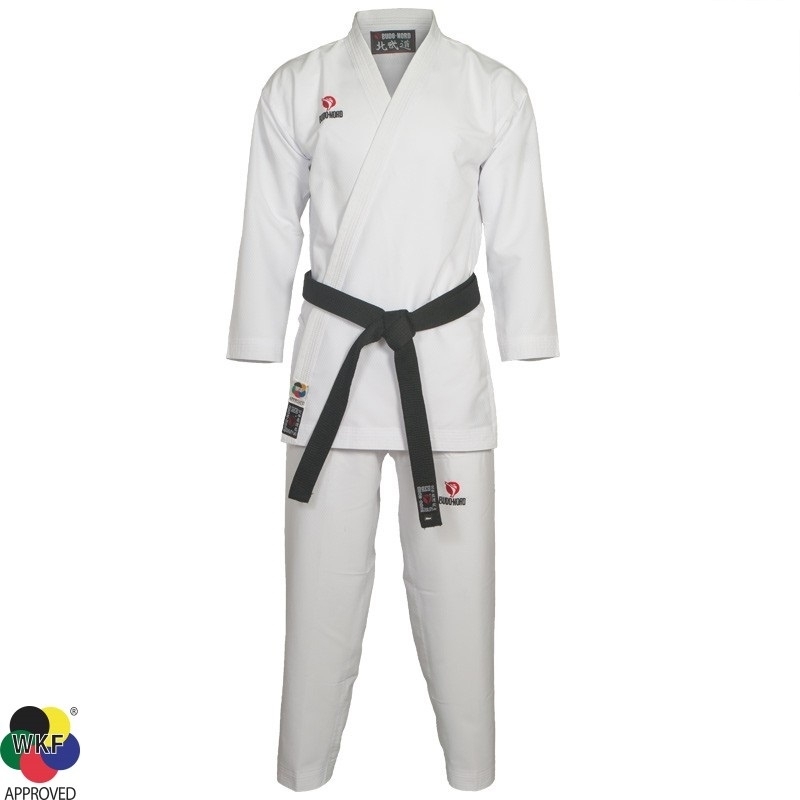 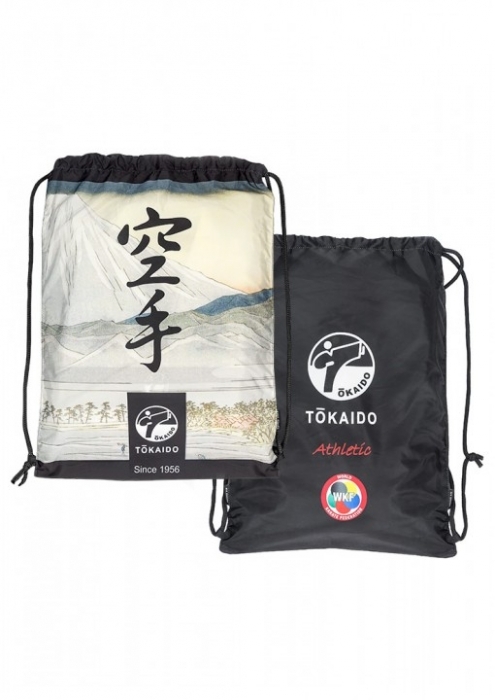 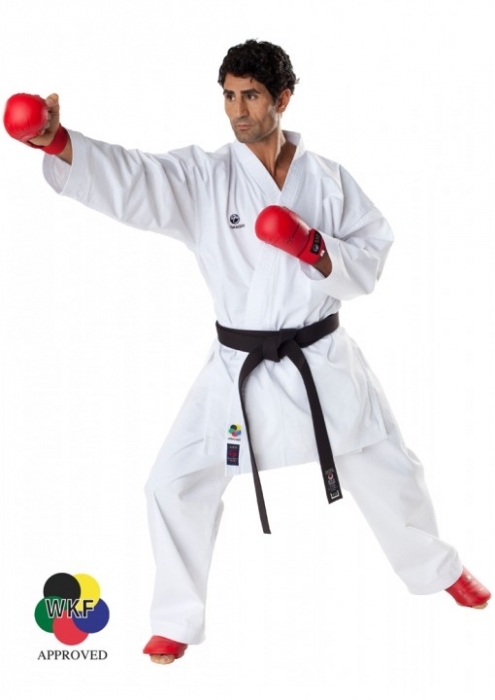 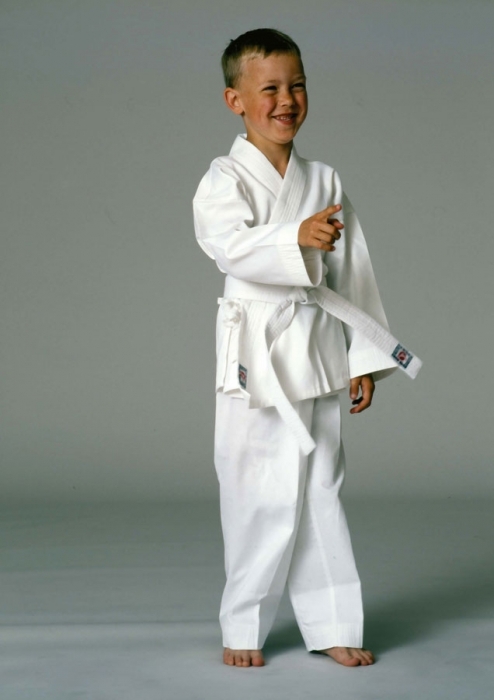 Karate gis shrink and turn yellowish with time, Sonkei keeps its size and whiteness. 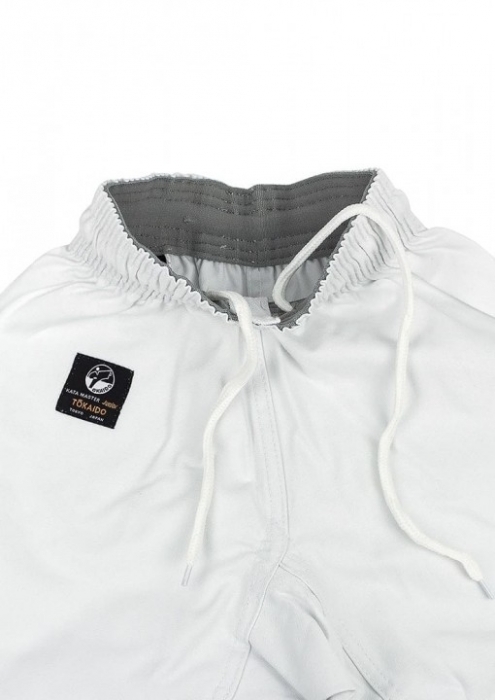 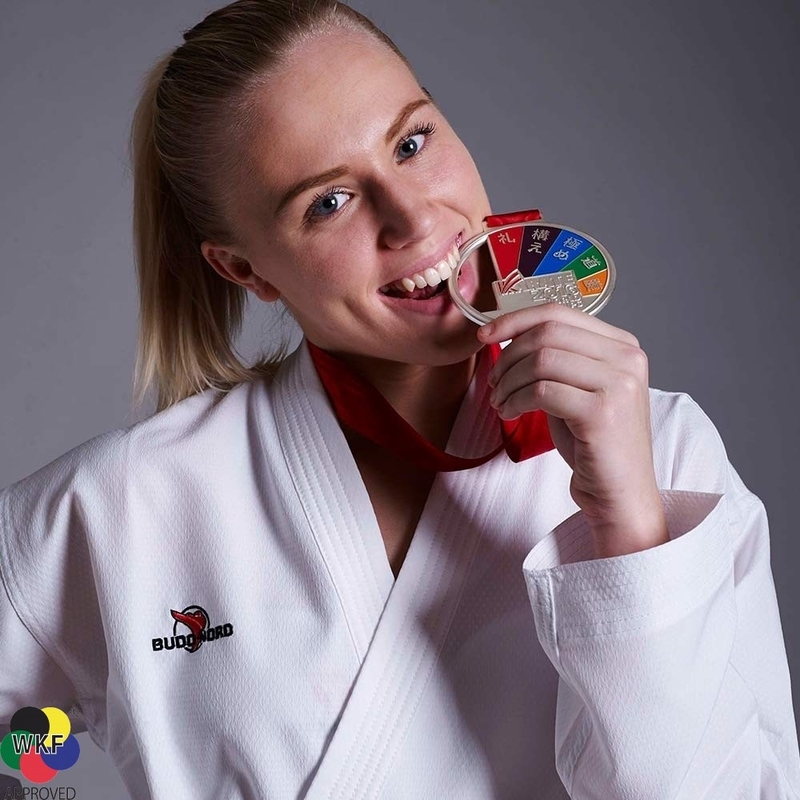 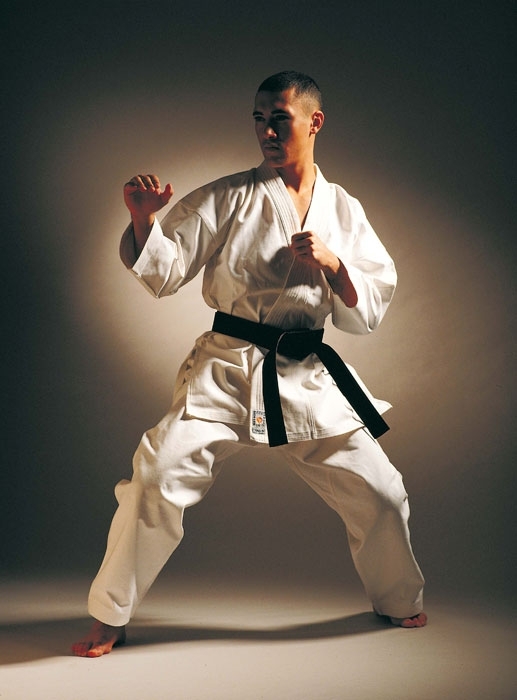 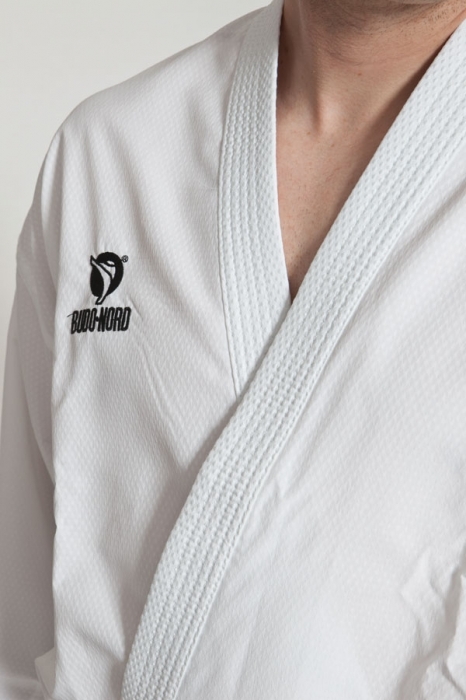 Budo-Nord Sonkei - not a karate gi, but a highly specialized and functional sports garment for karate.